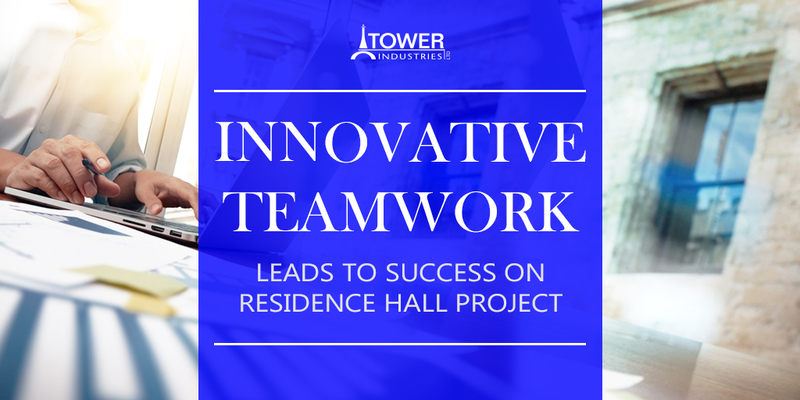 As a design-build company, Messer was successfully awarded the residence hall construction project based on the company’s reputation, experience, and proposal. Proceeding to the construction phase, Messer first needed a signed-off copy of the first-phase drawings from the client. Messer then proceeded to assemble the Guaranteed Maximum Price (GMP) base on the scope of work. The finalized drawings entered the bid market for pricing, and at that point, Messer discovered a serious issue. Messer, in conjunction with their client, realized they needed time to “stop and figure it out.” It was crucial to get back to a point where both companies would agree upon GMPs and continue to move the project forward. Messer began to examine each bid package, break out various components, and solicit separate bids. At that point, Messer realized that, without some creative thinking, they would be losing nearly $2 million in casework alone during the construction of the eight buildings in the residence hall project. Tower Industries, as a manufacturer of Meridian Solid Surface showers, made up a significant portion of the casework scope—up to 80 percent, according to Schmidt. It was clear that Tower Industries and Messer could work together to solve the problem of the overbids that had resulted through the use of multiple sub-contractors. Messer’s proactive approach in uncovering key components in the bid package allowed Tower and Messer to develop a successful working relationship that benefited Tower, Messer, and the client. Throughout the course of the Columbus, Ohio residence hall project, Tower Industries manufactured and installed 840 Meridian Solid Surface showers and 775 durable quartz countertops through all phases of the project, while simultaneously helping Messer realize a savings of over $1.7 million over the original bids. Tower Industries remains committed to providing customized solid surface shower solutions for a wide variety of commercial and institutional clients throughout North America. We welcome the opportunity to discuss your next project.